Is pool cleaning the best job in the world? I think so. 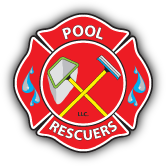 Hello my name is Ryan with Pool Rescuers and I would like to take a little bit of your time to tell you about us. Everything changed the day I met my wife. So if it was not for her, I would not be here cleaning your pool today. I met Nicole in June of 2008 at my cousins birthday party. I knew the moment i met here that I was going to marry her. After falling in love with Nicole, I moved to Gilbert Arizona and we started our lives together. I was going to become a police officer like my father has been for the past 27 years. All that changed when I married Nicole. The economy was in the tank and no one was hiring for any positions. Especially not the cities for law enforcement. I began my wait for law enforcement by working at a money transportation company. This was a position that allowed me as a 21 year old to carry a fire arm and start building my resume to become a cop. Working here was fun for me at the time, however I knew it was not for me. I graduated the academy top of my class, including an award for “Best Shot.” I was excited to be the youngest person to graduate the academy for this security firm. After working here for some time, I decided it was time to leave. I learned a lot about responsibility working with this crew, but I felt it was time to move one. I left the money transportation position for another securities firm. This division would allow me to get more experience working in management. As 24 years old I was hired on to the new security firm as a supervisor running a crew of 5 guys. I know what you may be thinking. I was not however just a rent a cop. At the age of 24 I was married, had a house in my name, and ran a crew of 5 guys. I learned a lot about managing problems in the work place. How to manage scheduling, and even how to perform my job at the best of my abilities. I still use these skills I acquired to run the business today. I choose to become a pool boy instead of a police officer when my parents neighbor approached me to come work for him. He was a pool cleaner and he always needed extra help. I quickly agreed to work with him if he taught me how to start my own business. I quit my job to run pools quickly after I started helping my parents neighbor. It was nice being outside and I loved doing something different. The security business started to get repetitive and It was easy to be interested in something different, so I jumped in. I left my job after submitting my two week notice. I was happy to be able to work on pools full time and have a schedule of my own. Only thing I did not foresee was that the neighbor and I would not work together for very long. Once the job was quit and I was a full time employee for the pool business owner, things started to change. As I was wanted and starting to learn about pools, it was obvious that I was wanted as more of an employee than a trainee. This lead to the split of me working for the parents neighbor. Not knowing what to do next I was at a crossroads in my life. My wife was let go of her job as a school teacher at the same time I left the pool service company I was working for. So here we were, newly married with no jobs. My wife was worried that we were not going to be able to make ends meet which concerned me as well. I was not going to let this stop me. Knowing that the city was still not hiring for any law enforcement positions and I did not want to go back to working as a security officer, so I pushed on. My first step was to file for an LLC and get a bank account for my business. Once that was done I was off to the races. I put adds up on craigslist every day, many times a day. Being a small fish in a large pond is quite the struggle. The problem with pool service companies being the number one most started company in Arizona is that there is A LOT of the out there. Everyone has a brother, boyfriend, sister, mother, father, aunt or uncle that is a pool service provider. It seems as though every other truck on the road has a pool poll and a bucket of tabs in it. This makes things very difficult to get your name out there when there are so many pool service companies already out there. I have been running the pool cleaning business for over ten years now, and really enjoy it. Running a pool service company allows me to work with employees as well as customers on a daily bases. Every day I make sure to spend time talking to my techs and making sure they have the tools to do the job correctly. Believe it or not there is a lot that goes into running a pool service company. The daily management of running reports such as chemical reports takes up a lot of time. Pools require different chemical levels depending on what time of year it is. Knowing how to calculate the amount of chemicals needed in the winter vrs the summer is something that needs to be learned. Trucks are constantly needing work. Everything from the service trucks needing tires, all the way to needing a complete new motor. Keeping trucks on the road can be a battle every single day. Trucks are an important part of our service seeing as how we need the truck to get to the customers properties. Knowing how to handle problems with the trucks when they arise is a skill in its own. Trucks break down far from the auto shops you use, so getting them to the shop can cost a lot of money before you even start finding out what went wrong. Being able to work on the trucks is always nice and saves money, but the work needs to be put in after the company has shut its doors for the day. The office takes a lot of work and attention to make sure it is running well for our customers. Customers need information, whether it be how much the invoice is or how much we charge for a certain job. Some customers like their invoices printed out, requiring us to use ink as well as envelopes and stamps. I know this does not sound like a lot, but when you include the man power needed to execute these tasks, it really is a lot. The office also requires different types of computer programs in order to run our day to day operations. Think about it. When you have over 300 stops a week and six guys to do it, how would you set it up? There are computer programs that we use to make this easier, but it still take training. It also takes man hours to run these programs. I really enjoy what I do, even though there are some difficulties. Copyright © 2019 [not you]. All rights reserved.